– Research and develop software, 3D real-time graphics and systems for innovative media environments. – Participate in all project phases, from concept to maintenance. – Ensure the timely and high-quality modular software development. 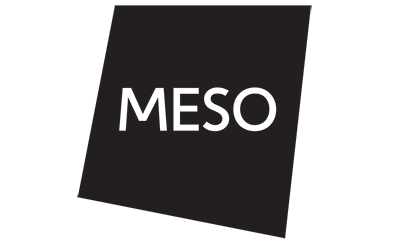 – Collaborate with the whole MESO team and especially interface with our creative coders, embedded systems engineers, and web developers to achieve project goals. – Independently implement complex components of interactive applications. – Advice less experienced developers regarding their implementation approaches. – Broaden your horizon by exploring up-and-coming relevant technologies and radiate your knowledge within the team. – Profound and overall experience in computer graphics and development with Unreal Engine / C++. – Design mindedness and detailed understanding of 3D / real-time development. – A keen eye on modular maintainable code and smart approaches for system architectures. – Familiarity with version-control and deployment strategies with GitLab Continuous Integration. – Distinct passion for physical computing to integrate a wide range of professional or in-house produced hardware/software. – Good knowledge of HTML/JS and the Internet protocol application layer (including HTTP, WebSocket, MQTT, etc.). – 5+ years of experience in developing large software systems. – 2+ years of experience with Unreal Engine. – Knowledge of project management principles, processes, and workflow tools. – Willingness to implement game technologies into media environments. – Ability to design, visualize, and communicate software architecture and design patterns. – Experience with shader programming. – Experience with UI / UX design. – Preferably: experience with AR/VR and related hardware SDKs. – Interpersonal skills to communicate, consult, and build relationships with clients, staff, and partners. – Ability to self-manage and lead your own work. – Permanent residency in Frankfurt and willingness to travel. – Have a desire to transform creative ideas into cutting-edge user experiences. – Possess an ability to push ideas forward in a transdisciplinary team. – Love hacking and open source; enjoy root on your own machine. – Are keen on discovering the potential of modern graphic pipelines in 2D applications. – Can develop a passion to discuss about what “unimpressed by technology” may connote. Have we sparked your interest? Then send us (jobs@meso.design) your portfolio and a short cover letter! We are looking forward to meet you.